I’m not going to lie… this is an extremely difficult blog to write. Allison and Steve’s wedding was so filled with sentiment and raw emotion, it’s hard not to get emotional as well. From the beginning of the day, the beautiful moments began when Allison handed us a slightly worn envelope. 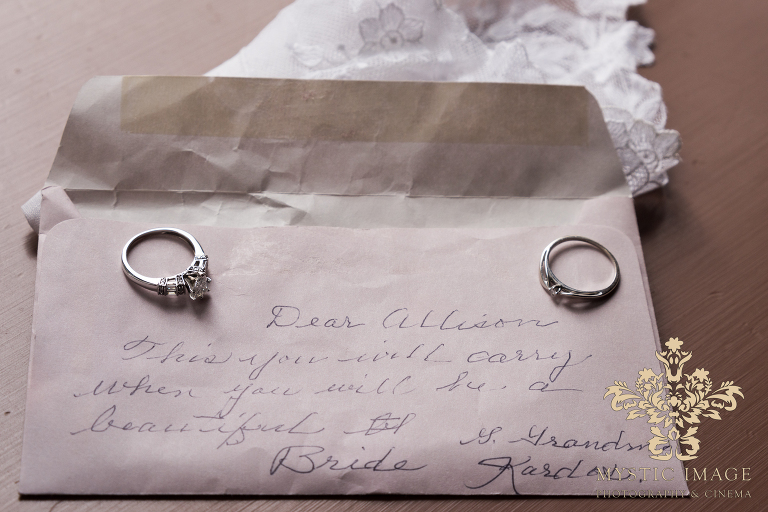 Inside the envelope contained a handkerchief and a hand written note that her grandmother had given to her for her wedding many years before. 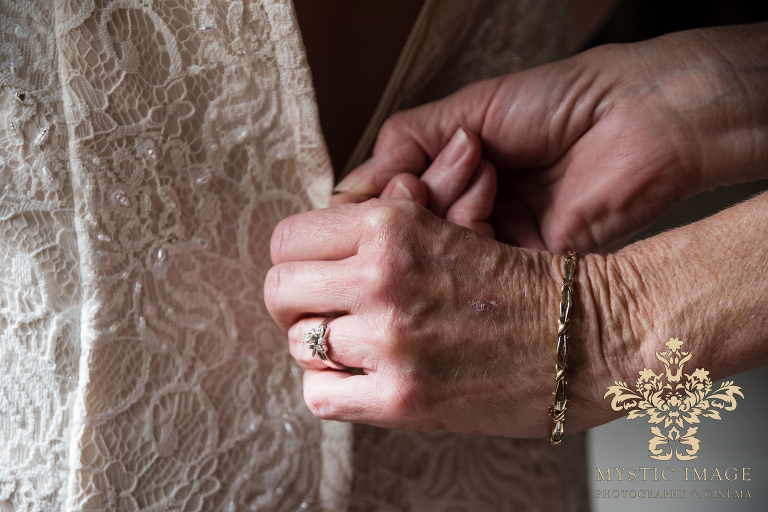 Luckily Allison had remembered the handkerchief the day before her wedding and made sure to attach it to her bouquet in honor of her grandmother. The flow of emotion continued during Steve and Allison’s first glance when he presented her with the same type of flower that he had given her on their first date. Her eyes completely lit up when she saw the flower. You could tell that this extremely thoughtful gesture meant so much to the two of them. The sheer joy that they shared at that moment was so unbelievably captivating and so much fun to document. In previous meetings, we had discussed specific photo locations that they may want to incorporate into their day. 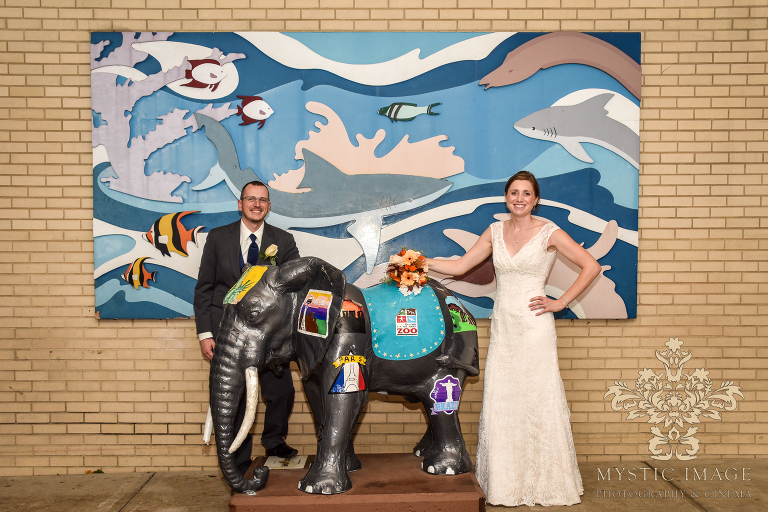 The Train Station in Brecksville and the Cleveland Metroparks Zoo where “absolute musts” on their list, but there was one special stop that they had not mentioned until the day of their wedding. Allison’s grandfather had been sick and in the hospital for some time. Since he would not be able to attend the wedding, it was imperative that we go to him… and this is where it get’s difficult to write. Although the visit was extremely challenging emotionally, we were so happy to be able to capture this visit for Allison and Steve. Sadly, this would be the last time that they were able to be with her grandfather as he passed away a few days after their wedding. To know that we were able to immortalize this moment in time for this wonderful couple, is a true blessing. Ok, I’m back. I literally had to take a few moments to regain my composure. Allison and Steve, you are two of the most genuinely kind and wonderful people that we’ve had the pleasure to work with. Your day was absolutely amazing! You have an incredible bond that is unlike many others and we know that the love and devotion that the two of you have for one another will keep your relationship steadfast throughout the years. 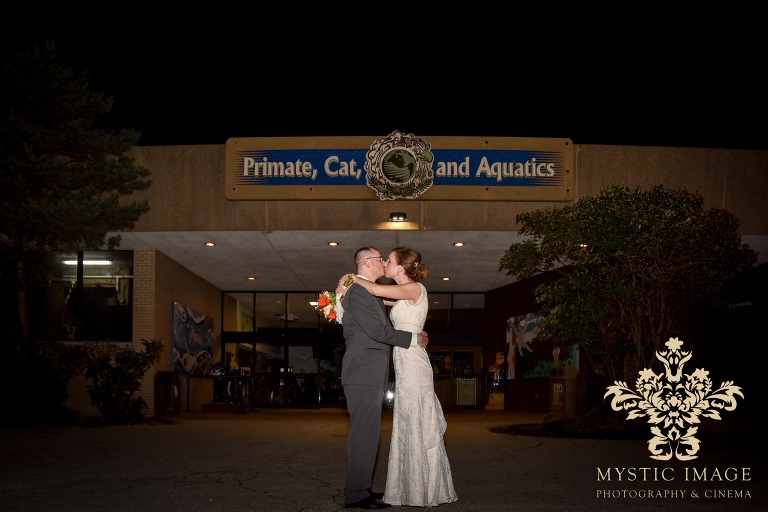 We had such a fantastic time capturing your special day and we love you both immensely! Congratulations again Allison and Steve! !